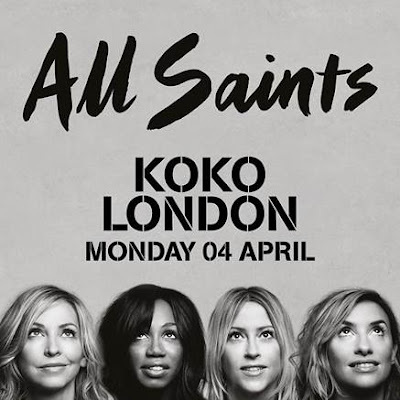 Nineteen years after their debut single, All Saints will launch their new single ‘One Strike’ on February 23rd, followed by their fourth studio album ‘Red Flag’ on 8th April. To celebrate their huge comeback, the quartet have announced a very special show at London’s KOKO on Monday 4th April. The group will make their highly anticipated return to the live music circuit to perform new material from the album 'Red Flag' and classic hits. With a career spanning over a decade, All Saints became one of the most symbolic British pop groups of the 1990s with 12million record sales, five number one singles, two multi-platinum albums and two Brit awards.